Office of Vice Consul of Finland opened in Los Angeles in 1948, and the first Honorary Vice Consul later Consul, was Yrjö A. Paloheimo. The office was located in Pasadena, a respectable suburb East of downtown. Consul Paloheimo held his position until 1964, when a Trade Commissioner, Consul Veikko O. Huttunen had already been assigned to take care of commercial matters. New premises were acquired in the early 60's on Wilshire Boulevard in a new "skyscraper". The Consulate stayed and operated in this building for the next twenty years, after which time it was deemed necessary to move further West, following the then-current trend. The Consulate General was located for twenty-some years in an area called Century City, next to Beverly Hills, on the Westside of the city. This area was developed on land owned by the 20th Century Fox studios, and where they and the current Fox Television studios are still located. Distance to the Pacific Ocean in Santa Monica and downtown Los Angeles is equal in miles. In the spring of 2013 the Consulate moved to a new location in West Los Angeles and is currently located on West Olympic Boulevard. Consular activity was brisk during Consul Paloheimo's tenure in the late forties and early fifties, and passports and visas were issued, first from a few to scores later. Promoting Finnish trade and participating in exhibitions was already then a major part of Consulate's activity. Importing Finnish paper and wood industry products was vital, and a Finnish stevedore company started shipping to local San Pedro-Long Beach harbour in the mid-50's. Finnish glass and design products were available at all better department stores also in the 50's. In 1953 annual report there was mentioned a concert by the Finnish Students' Organization Choir which was sold-out in an 3000-seat auditorium, and where the reception following was attended by 1000 guests, including two local mayors and two university chancellors. Same year there was a "beauty queen contest" where Finland was successfully represented by Armi Kuusela and Teija Sopanen, who were, according to Consul Paloheimo, "way more cultivated and superior in personality than all the other contestants". 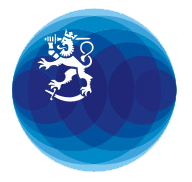 Finnish Consulate, headed by a trade counselor, was very active in the 60's and 70's, when a technology counselor's office, reporting to the Ministry of Trade and Industry of Finland, was attached to the Consulate. The personnel grew in numbers as tasks and activity increased, and in the beginning of 1980's it was decided to relocate to new larger premises in prestigious Century City. Long-time trade counselors during this time, besides Veikko Huttunen, included Martti Yli-Renko, Olli Eloranta and Asko Karttunen. Lauri Kinnunen was the first technology counselor. Relocating Consulate General of Finland from San Francisco to Los Angeles about forty years after being established became a reality. The significance of Los Angeles in the South surpassed San Francisco in Northern California as the commercial center of the state. The largest sea port, the budding mega-billion entertainment industry and the huge population growth were deciding factors for Los Angeles. An honorary Consulate General was established in San Francisco and Consulate General of Finland started its operations in Los Angeles with trade and technology counselors offices. Prior to the last relocation (in 2001) of the Consulate General's office, the offices of the trade counselor, currently Finpro, Finland Trade Center under the Foreign Trade Association, and of the technology counselor, now Tekes, National Technology Agency of Finland, had moved a year earlier to Northern California's Silicon Valley, South of San Francisco. The function of the Consulate General, in its now custom-designed premises, still remains promoting and publicizing Finnish culture, trade, technology and know-how. There has been a considerable increase in Consular, passport and visa service figures during the last five decades, as even the Finnish population has grown in the thirteen Western states under the Consulate General's jurisdiction. To name the Consuls General during the last twenty years, were Lasse Oka, who moved the chancery to Los Angeles and purchased a residence here, and Kurt Uggeldahl, Jussi Montonen, Tapio Saarela, Jörn Donner, Maria Serenius, Erkki Huittinen, Manu Virtamo, Kirsti Westphalen and Juha Markkanen.